Just Cause 4's latest DLC expansion Dare Devils of Destruction is coming to the game on April 30, so get ready to wreak some havoc. Just Cause 4 is welcoming a new DLC drop at the end of the month in the form of its new Dare Devils of Destruction expansion. 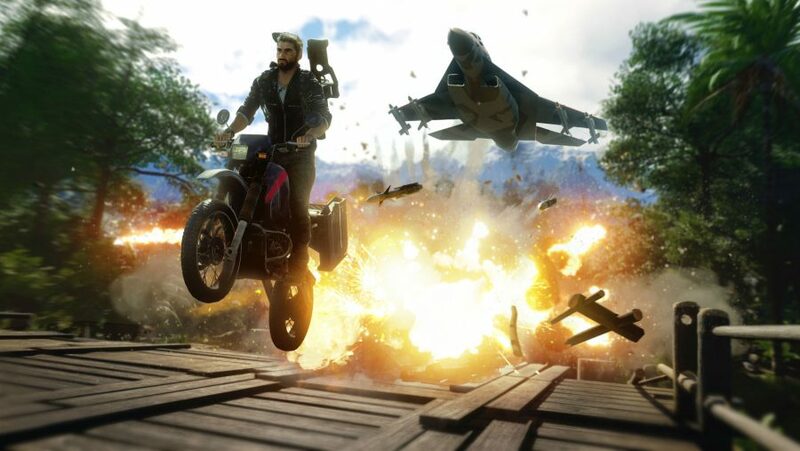 Just Cause 4 players can complete a variety of missions to unlock over 16 all-new weaponized vehicles that you can hop in and out of with a moment's notice. There's also a whole lot of destruction going on, with new tactics you can use to descend upon Solis and totally rough some people up. With three deadly new challenge modes, players have plenty of reason to come back to Just Cause 4, even if they've moved on to greener pastures. Survival mode lets you run the gauntlet through a series of landmines, wrecking balls, and rings of fire as you work to come out alive on the other end, destroying obstacles along the way and racing through checkpoints. Run finds you driving through a series of extreme weather so you can master high-speed stunts. Then use a variety of different, deadly weapons on your enemies as you cross the finish line. Finally, Rampage is just like the classic arcade game sounds: destroy as much as you can to get a high score within an "explosive' arena. Those who bought the Gold Edition of Just Cause 4 will get 7 days of early access to the DLC, but others will need to pick it up when it drops on April 30.